To my 30something mind, the triumph of Jane Eyre is that, despite some of its plotting, its affection and support are for the normal, sane woman - and does so in the kind of setting so full of potential sadness and melodrama. Forthrigthtness, calm, and kindness are rewarded and loved! She's a teacher, even! Novel concept. (Note: I most definitely do not love Rochester and even have a hard time understanding why Jane does. Byronic heroes, the door is over there. *) My 21-year-old mind, who read the book first, might have loved it for just for the heart-wrenching passage in which Jane describes cuddling her doll when she no other friends and says the sad, beautiful truth that "human beings must love something." 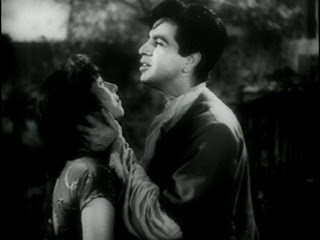 As I watched this contemporary Hindi take on the basic story of Jane Eyre, with Madhubala and Dilip Kumar, I kept thinking "Yes, yes, this was meant to happen" and hoped the towering shadows and longing hearts would hold, at their core, my same sensible heroine, in some ways plain but in others extraordinary. The sketch of the plot is translated effectively - think how filmi Bertha is! - but Jane and Rochester have a different sort of relationship in Sangdil. Additionally, characters are eliminated and condensed. Didn't you know Rochester (here Shankar) and Jane (Kamla) were childhood friends? Jane enjoys daydreaming fairy tales in which Rochester saves her on a flying horse. 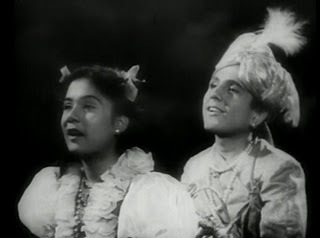 Kamla is the ward of Shankar's father and the two are very close, despite Shankar's mother's constant efforts to remind Kamla that she isn't a real member of family. After the death of Shankar's father, his mother sends Kamla packing as Shankar runs down the road after her in tears. Kamla becomes a priestess in a temple to the god Shankar (does this seem as clunky to you as it feels to me? ), and Shankar becomes a bit of a...well, he's not very pleasant, frankly, and pouts and sneers like a spoiled only son of a rich old lady. 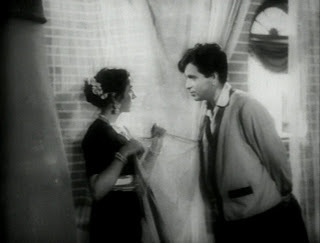 Kamla and Shankar cross paths as adults and their bond is rekindled - Shankar essentially says to Kamla "I know you want me. You're beautiful. I will have you," even though she has not made any overtures and he has a fiancée. I was not moved by this. Shankar was mostly icky to me, with a few moments of utterly plummy dialogue and heated lean-in-close delivery. Sangdil is a beautiful movie to look at. Light and dark highlight special treasures and hide the secret in the attic. Madhubala's dancing is divine, as is the music overall, and her shining face radiates Kamla's wonder as her life changes over and over again. She's clutching a cherished figurine! Hurrah for details! I liked Kamla so much that I really wanted her to be happy, even though her happiness stemmed from a love that was not entirely free of desperation. I'm not sure if Kamla loves Shankar for who he was as a child, who he is as an adult, or simply because, as a human, she has to love something and he's the most magnetic option (her earlier life of loving god doesn't seem to sate her fully). As in the novel, the final version of Shankar/Rochester is the one I hope is at his core, the most significant portion of his person. The original Jane strikes me as so sensible that I do not doubt her choices, but Kamla seems so very young and to have led such a...cloistered, really, life, that it's hard to imagine she really knows what she's doing. And when a forceful, entitled fellow like Shankar is in her path, she doesn't stand much of a chance to act freely. Still, the house fire - cleverly mirrored earlier in the film by the fire of initiation to the temple society that Kamla must confront as a girl - purifies and makes room for new growth and life. I've always found this aspect of Bertha interesting. She represents regret, un-ideal choices, uncontrollable change, pasts we don't want following us around, and when she chooses to destroy, she can take down almost everything. I've often wanted my own metaphorical Berthas to rid me of themselves and their accumulated prohibitive clutter. When the film ended, I was grudgingly appreciative that Shankar seemed to have become nicer, humbler, and more generous, and I was left feeling hopeful for both protagonists, despite the trauma-drama of how they got there. * Is anyone else watching Wuthering Heights on PBS and unable to stop themselves from yelling at the screen about how Heathcliff is the most awful hero ever and that he should have just kept banging his head on that stone wall and done us all a favor? Aww. 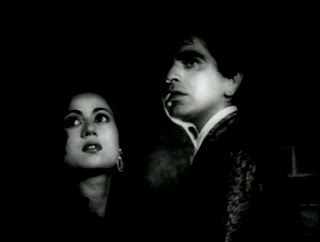 Dilip Kumar is such a wonderful Victorian hero. May I also recommend to you a not very good Dil Diya Dard Liya where he plays Heathcliff? I have always thought the high drama and raging passions of these novels will translate very well to Bollywood and wonder why we don't do more adaptations! Heathcliff isn't a hero at all, IMO. He and Kathy deserve each others' dysfunction. I kept on hoping they'd kill each other in a mutual murder pact. 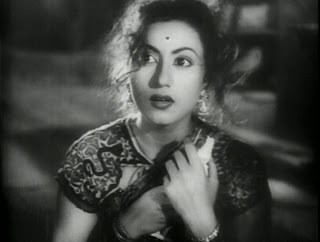 BTW, Madhubala looks lovely but I don't know if I can handle this film. I want to shake Jane quite a bit. I haven't seen the film, but the music is really good. Ma favorite songs has to be "ye hawa ye raat ye chandini" because it's a double threat, picturised on Dilip Kumar and sung by Talat Mehmood. Thanks for the lovely screencaps too. For some reason I don't mind the Hindi "remakes" of Hollywood movies, but I would be much more critical of of a retelling of something I love as much as Jane Eyre. But then again, I haven't even ventured into older Hindi films beyond Sholay (one of these days I'll watch a Shashi Kapoor film). Wuthering Heights, I don't think I could take another adaptation of period. Lawrence Olivier worked well enough for me as a 16 year old that I enjoyed the book--the first time. But I have since washed my hands of it. In some ways I thought Kamal was in a better position than Jane. She had a place to go back to, even if that wasn't her first choice; but she didn't face almost starvation and then marriage to a cousin who might just as well be a stranger with the added prospect of becoming a missionary's wife in a climate sure to kill her. WELL HEATHCLIFFF IS THE ANTI HERO. BUT WHILE READING THE BOOK,NOBODY WOULD HAVE GUESSED WHAT WILL HAPPEN TO HIS CHARACTER IN THE END. THATS THE POWER OF WUTHERING HEIGHTS. My mother used to tell me the story of Jane Eyre as a bedtime story because she couldn't remember the name of the book (hey mom, it's the name of the central character!) and she also forgot how it all ended and would invariably end up telling me the latter half of Wuthering Heights instead and when I finally read JE, I was so glad to see that Rochester wasn't Heathcliff, I couldn't help but fall in love with him. The moral to this little story is that my mother wins again. Thought I'd share. Madhubala got her own Indian postage stamp last year. She was unique. Gauri - I've seen so few of his movies but want to see more. And yes, you certainly may! 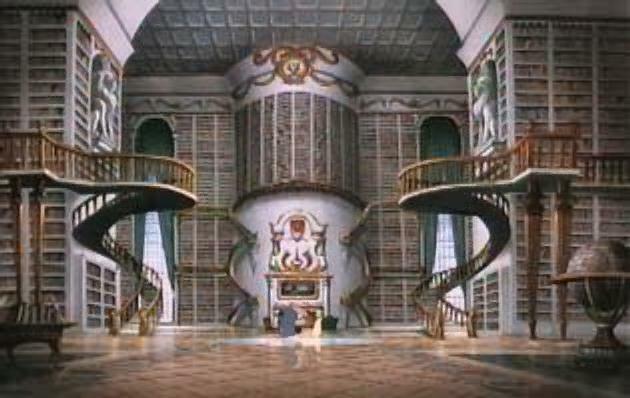 :) I agree that a lot of the 19th century literature I've read would do very well with a filmi treatment. Kandoukondain Kandoukondain remains one of my favorite fillums. ajnabi - I agree that he isn't, but I have soooo many memories of people in high school and college being so in love with him and finding him so compelling and sympathetic...which maybe aren't definitions of "hero" either. One of my friends from grad school has just suggested that it should be Wuthering Heights, not Pride and Prejudice, that gets the zombie treatment - after all, Heathcliff as undead would explain A LOT. Shweta - That's a perfectly legit reason not to continue! It made me go "HANG ON A MINUTE" too. It's just so...unsubtle! JaneHeiress - I hiiiiighly recommend you venture, but I was afraid of older films at first too, though now I cannot remember why. Please tell me what sort of soap you used - after watching the PBS showing, he's lurking around in a most annoying way. gebruss - Yes, the temple life is much more secure than the employable-but-not-currently-employed teacher. It's interesting that both jobs/roles clearly are able, in theory, to offer mental and/or spiritual satisfaction, though, something I don't think women are always offered in settings like these stories. Anon - I can't even remember what happened to him! Amrita - BWA! "Not being Heathcliff" is my new #1 criterion for fellas. Please tell your mother that I would love for her to write down her version and I'll start reading it to my 8-year-old friend and see what she makes of it. IJ - She's lovely! And your note is timely - lately I've been using Bette Davis stamps! Mr. India: the comic book!